To limit any possible errors in artwork, designs will not go to production until they have been approved by the client. and that you have read and accepted the terms and conditions in the proofing agreement. if the customer has requested the order go to production without proofing upon order. The Copy Shop shall make every effort to ensure that proofs are free of any grammatical and spelling errors, before supplying them to the client. It is agreed that it is the client’s responsibility to completely review their proofs and ensure that there are no errors contained in the proofs. It is agreed that The Copy Shop is not responsible or will not be held liable for any errors contained in the final product after the final product has been approved by the client, committed to print, and/or posted in view of the public. The Copy Shop will endeavour to ensure that only royalty free images are used in custom designs. It is agreed that The Copy Shop, its employees, directors and suppliers, will not be held liable for any damages, costs and expenses, including reasonable legal fees, arising out of or related issues, copyright, or trademark infringement. The design time stated at the time of initial order shall be used as a Quote only. This time may vary depending on what type of information, artwork, or materials which are provided by the client. An edit to artwork is defined as work performed that is in addition to or change from the original specifications. Each session of edits / artwork changes are subject to a minimum design charge of 0.25 hours at the current design rate. For this reason it is important to send all conceivable changes together and not after each proof. Clients will not be billed for corrections made due to mistakes by the The Copy Shop before the final approval. 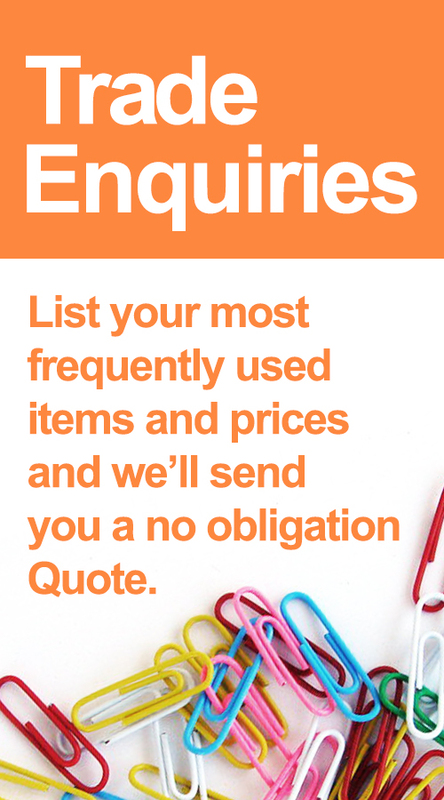 All quotes are valid for 30 days from the quotation date and include VAT unless otherwise stated. Products will be stored for a period of 90 days. Failure to pick up product order or make other arrangements from the ship date, the order will be discarded. The product is non-refundable. Prices are subject to change due to paper cost increases. Printed proofs are billable at the current rate. A minimum of £10.00 per item may be required on all orders. All prices, specifications, and promotional offers are subject to error, cancellation, substitution, and change by The Copy Shop at anytime without notice. If the client deviates from the proofing or production schedule provided, the finish date will change accordingly. Any order that is required in less than the regular turnaround time is subject to a ‘Express Order Fee’ at the current rate. Design proofs that are required faster than the posted first proof date may be subject to an additional £20 or 20% of the Design Order, whichever is greater. Rush design orders are subject to the discretion of the Design Manager. This is an agreement to indemnify, defend, and hold harmless The Copy Shop, its employees, directors and suppliers against all claims, liability, damages, costs and expenses, including reasonable legal fees and expenses, arising out of or related to a breach of this Agreement.